DAYTONA BEACH, Fla. – In 2017, it was Toyota’s turn for a remodel. This season, it’s the new Chevrolet Camaro. It appears 2019 will be Ford’s turn to update its product. 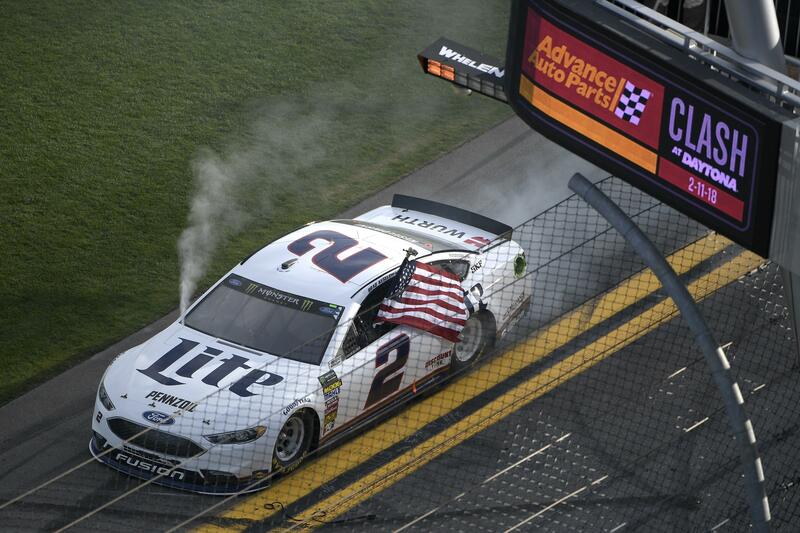 Speaking after Brad Keselowski won Sunday’s Advance Auto Parts Clash at Daytona International Speedway in a Ford, NASCAR team owner Roger Penske said that manufacturer’s racing teams would be getting a new Cup Series body next season. In Sunday’s race, the top four finishers were in Ford Fusions. Ford’s last remodel came in 2016, when the manufacturer updated the Ford Fusion that has been used in NASCAR since 2006. Penske did not say whether the new body would be an upgrade to the Fusion, or if Ford would switch to another name, such as the Mustang. Updates to the Toyota Camry before the 2017 season were a huge part of the success Martin Truex Jr. had last year en route to his first Cup Series championship. Along the same line of thought, Alex Bowman drove the new Chevy Camaro at Daytona 500 qualifying on Sunday and won the pole. The top seven qualifiers were all either Chevy or Toyota drivers. Keselowski, who made the championship four last season in a Ford, was asked if he knew anything about a new body for 2019. Mark Rushbrook, the global director of Ford Performance Motorsports, told NBC Sports he could not confirm that there would be a new Ford make in 2019. Published: Feb. 12, 2018, 5:10 p.m.